My knees are not what they used to be....! These are just a few of the many reasons why you might have been deterred from practising Yoga in the past. But consider this. If you learned to drive in the past, on your first lesson did you jump into the driver's seat without any instruction, gear up to 5th and jump into the outside lane of the A19? Or, did you have numerous lessons, and have been learning better ways of driving ever since! My new Yoga class aims to dispel the myths about practising Yoga because truly, Yoga is for everyone. It is a gift that is available to anyone who can overcome the misconceptions of 'who you need to be' to practise Yoga. You may have never stepped on a Yoga mat before. You may have practised Yoga in the past or do so currently. My new Yoga class at Nunthorpe Methodist Church Hall aims to introduce new people to Yoga whilst also accommodating those beyond the complete beginner's level. So what are you waiting for? Let the potential Yogi in you, out. The target this year is 10,000 poppies, and angels for Christmas. We are grateful to Nunthorpe Parish Council and NE Homes for generous grants and Boyes at Coulby Newham who gave us a generous discount to enable us to reach this target. 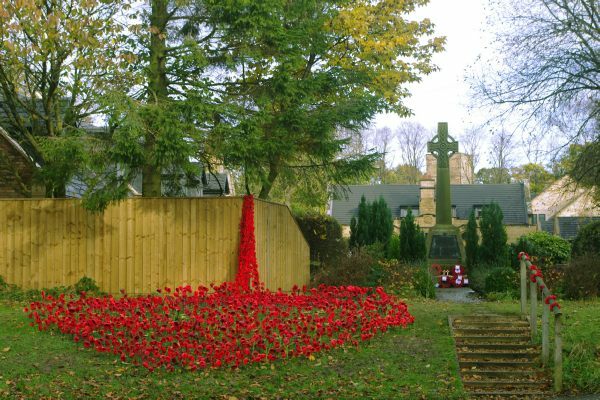 In addition to the displays we did last year at Nunthorpe Railway Station and Nunthorpe War Memorial, we intend to have a display at Nunthorpe Methodist Church and Nunthorpe Oaks Care Home. 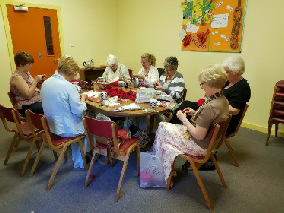 There are several knitting /crochet groups in the area as well as people knitting at home. Recently we have started a new group at Nunthorpe Methodist Church on a Thursday evening 7pm -9pm . This has made a good start but would welcome more people to join us . You will be made very welcome and as well as knitting we natter and have refreshments. We also have wool and knitting needles. Church has a knitting table and everyone is welcome here too.